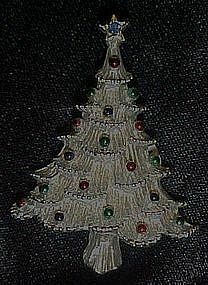 Pretty silvertone metal Christmas tree pin signed Corina. ( Actually shinier than photo shows) Measures 2" tall and has enamel decoration on the ornaments. Perfect like new condition.